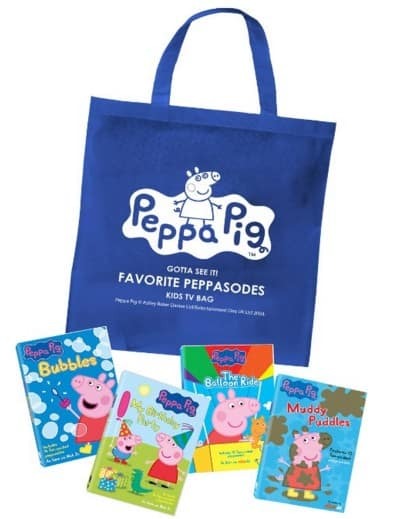 The Peppa Pig: Gotta See It-Favorite Peppasodes Pack w/ Kids Tote Bag is on sale for $24.99 at Amazon right now. That's 37% off the list price of $39.98! Great gift idea for the Peppa fan!